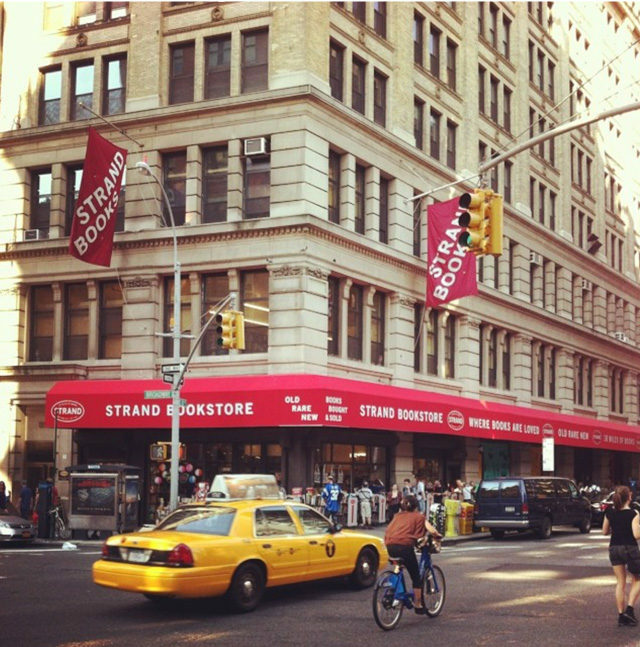 The Strand is probably the first place that comes to mind when you think of NYC bookstores. It’s been around since 1927 and lived on what was then called “Book Row,” a stretch of six city blocks that contained 48 bookstores! Can you imagine? I would have been in heaven! The Strand is all that remains of Book Row today. 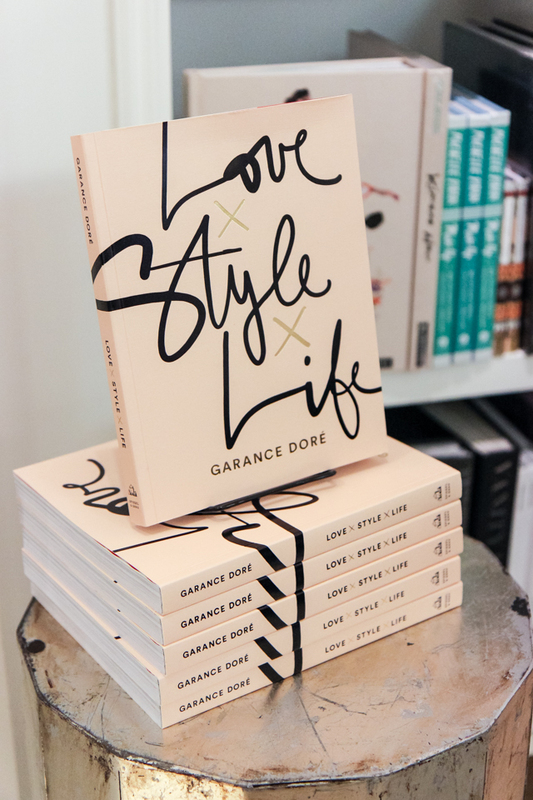 The store was founded by 25 year old entrepreneur Ben Bass, and he named it after a street in London where forward-thinking book publishers and literary figures of the day congregated. The Strand is one of my favorite places to find gently used books (especially hardcovers) for an amazing price. It’s got character and charm that you simply won’t find anywhere else, and it’s one of those New York institutions that are part of what makes this city so great. The Strand also has a shop-in-shop located within the Club Monaco Flagship on Fifth Avenue in the Flatiron district. I LOVE this location! They have a fantastic selection of novels and gorgeous fashion/photography books, and as you can see, the design details in this location are just too gorgeous. The fireplace with the gorgeous flowers, architectural details, and gilded mirror is always a welcome sight, and you can browse while sipping coffee from the attached Toby’s Estate. This is really one of my favorite places in the city. McNally Jackson is what I had in mind when I mentioned “hip” bookstores. This spot is bright, clean, and modern. They carry a large selection of magazines with beautiful photography, like Kinfolk and Cereal, and they have a great selection of fiction, nonfiction, cookbooks, design tomes, and much more spread out over two stories. 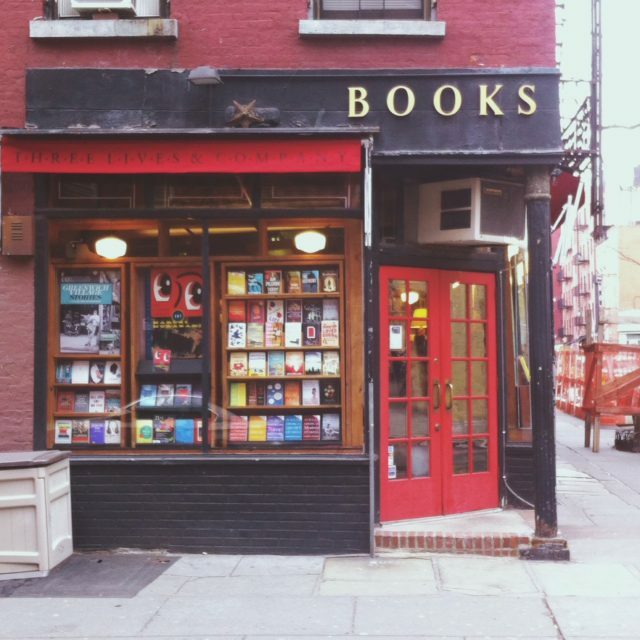 The attached coffee shop is a great place to sit down and peruse your new reads while sipping coffee and checking out the well-dressed, trendy downtown crowd that frequents McNally Jackson and other Nolita hotspots. 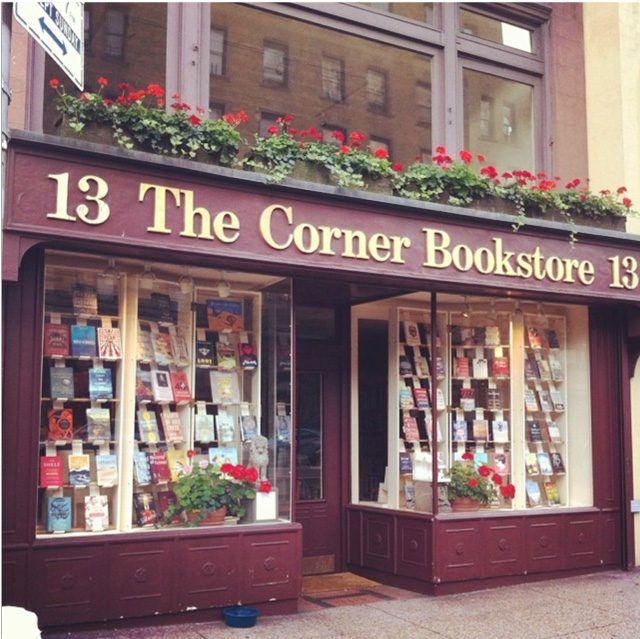 The Corner Bookstore resides in a charming (admittedly, astronomically pricy) enclave of the Upper East Side known as Carnegie Hill, and it provides a small, but highly curated selection of books. The bookstore has been around since 1976 and lives in a space that was formerly occupied by a pharmacy for almost 50 years. They offer a wide selection of children’s books since there are many private schools in Carnegie Hill. I love this bookstore for it’s one-of-a-kind, neighborhood-store atmosphere. It’s tiny, charming, and so New York City. This is another one, similar to The Corner Bookstore, that I just can’t help but loving because it’s so tiny, it’s so full of character, and it’s so New York. 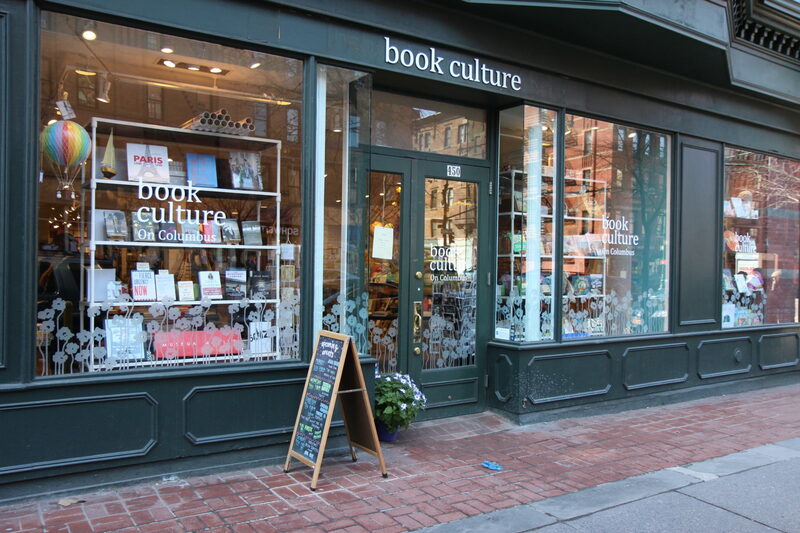 This warm, welcoming little spot is located in a quiet, unassuming, tucked-away corner of the West Village, and I’ve ducked in many times this winter to escape from the chill and just peruse their charming selection of books. The floors are creaky, the staff is friendly, the collection well-curated, and it’s just the coziest little place. 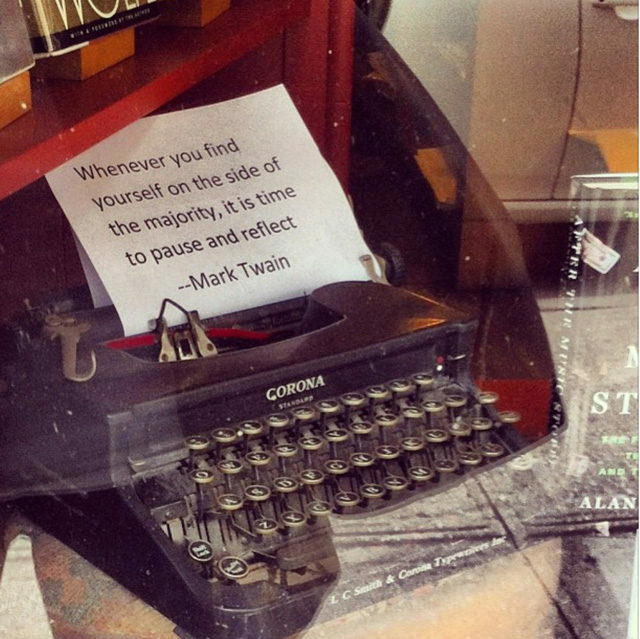 If there were more bookstores like this in the world, I would be a very happy camper. It also happens to be the perfect place to while away the time if you’re waiting to get in to brunch at Jeffrey’s Grocery or Joseph Leonard on a busy weekend morning (both places that I highly recommend, despite the waits!). I consider this my “neighborhood” bookstore, and I just love it here. It’s conveniently located right near the subway, and it’s always very quiet and peaceful. You can browse uninterrupted and it’s bright, clean, and well-organized. I also love that I have little fear of this place closing, as they serve both Hunter College, across the street, and Marymount Manhattan, a few blocks away. 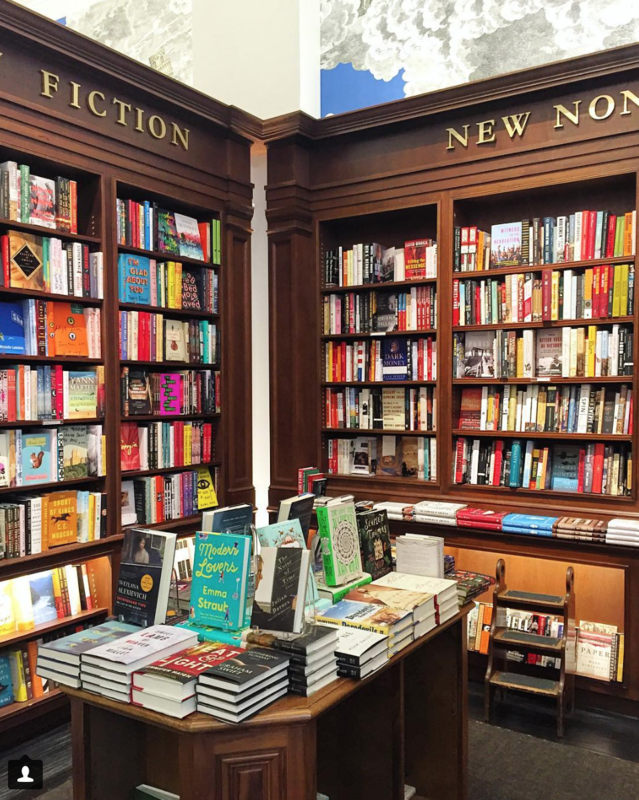 Rizzoli: (EDITOR’S NOTE: Happily, Rizzoli is now re-opened at 1133 Broadway in NoMad!). Rizzoli was another bookstore that I loved when I first moved into the city. If the name sounds familiar, it’s because Rizzoli is a big producer of coffee table books – and their flagship store here in the city specialized in gorgeous, large coffee table tomes covering a variety of topics. It was very close to Central Park and housed in a beautiful, old-New York building with three stories. I thought the store had a really special atmosphere – just very cozy, quiet, and dignified…a haven where you could forget about all of the hustle and bustle outside and feel like you were back in the New York City of Edith Wharton’s time. Sadly, this location closed, and apparently the beautiful old building supposedly lacked the distinction that would have allowed it to be landmarked – according to the Internet, it’s been demolished (I can’t bring myself to walk by, it’s too depressing). Happily, a new location is opening in the spring. I’m still nostalgic for the old one, since it was in a bit more of an out-of-the-way location, whereas the new one is going to be smack dab in the middle of the busy Madison Square Park area. I don’t know if the new building is going to have the character of the old one, or if the quiet, cozily enveloping atmosphere that the old Rizzoli possessed will be present, but either way, it’s great that it’s re-opening – and the bustling nature of it’s new neighborhood will hopefully ensure that it stays open! 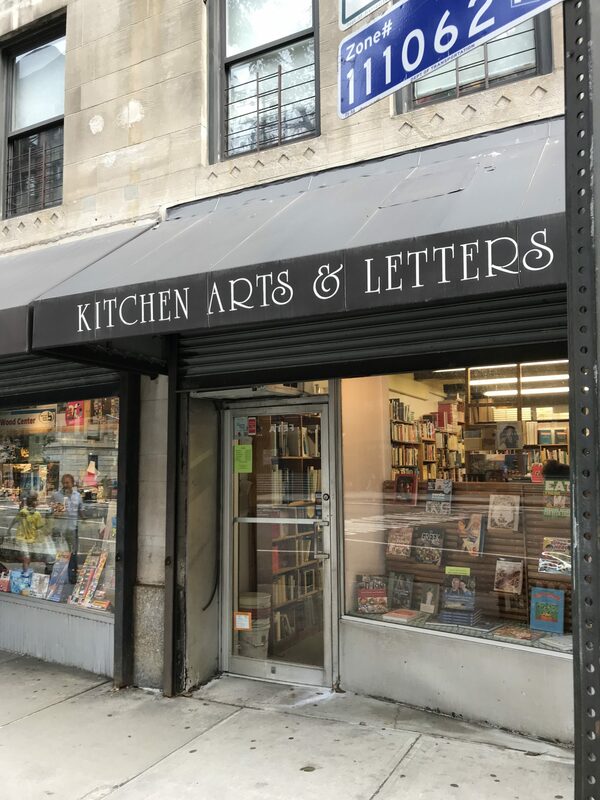 Kitchen Arts and Letters is the cutest little shop that exclusively sells books and magazines devoted to food and drink – cookbooks, foodie memoirs, food writing, culinary magazines, and the like. This is such a cozy little spot and as a big fan of food writing, I couldn’t love this place more! 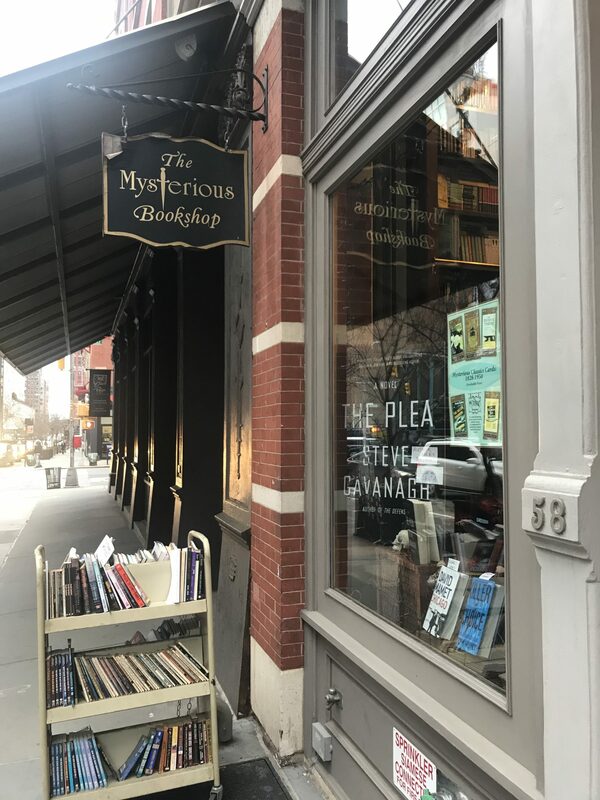 As you can tell by my love for Kitchen Arts and Letters, I find nothing to be quite so charming as a “theme” bookshop – which is why I’m kind of obsessed with The Mysterious Bookshop in Tribeca. 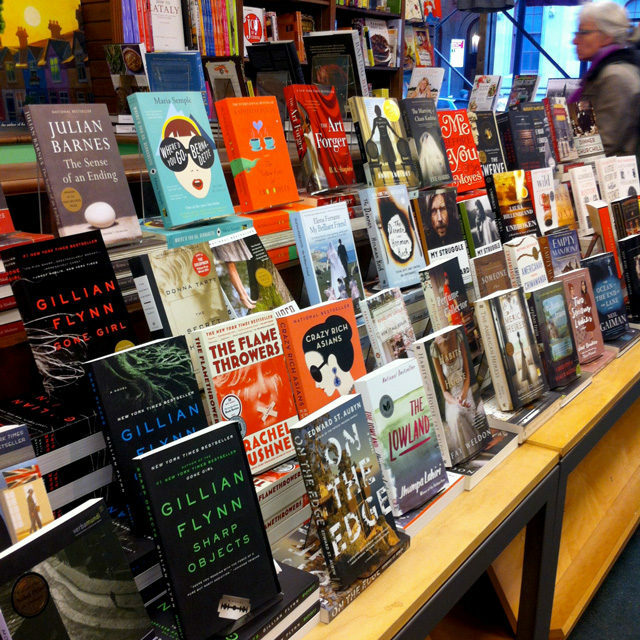 As you may have surmised, it’s a bookshop entirely devoted to mysteries, thrillers, whodunits, and the like. 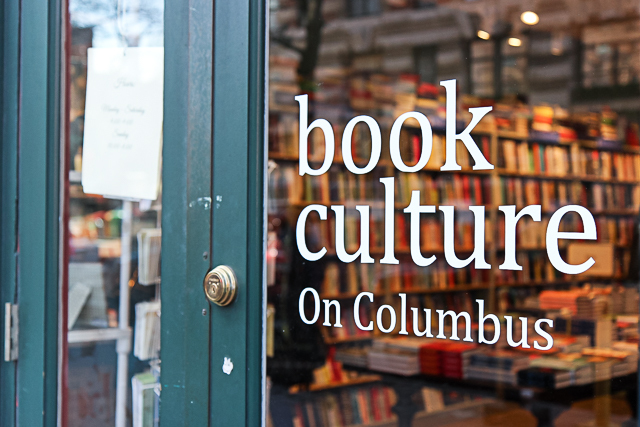 Book Culture is a mainstay of the Upper West Side – a large, bright space and perfect for kids, as they have a whole children’s section on the lower floor. 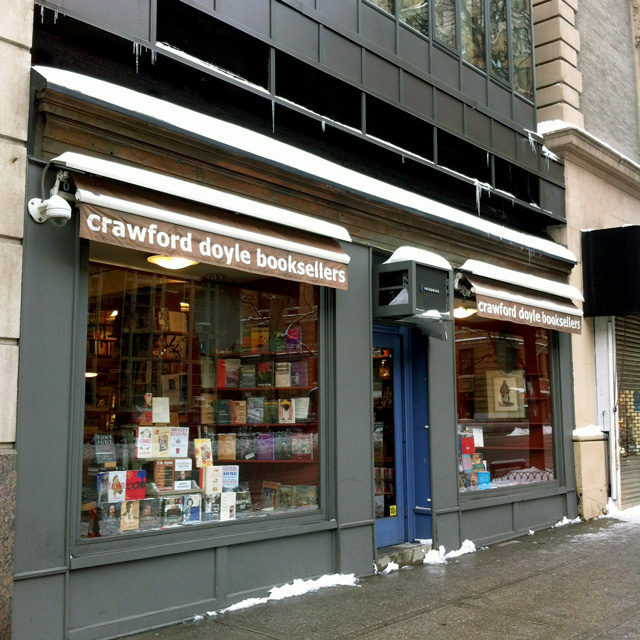 I know I sound like a broken record, but the other week I walked into Crawford Doyle and it was just so cold out, and the bookstore was so warm and cozy, and those floors were so creaky (clearly I have a weird obsession with creaky old floors), and I couldn’t help but marvel at how lucky I feel to live here. To live in a place where there’s not just one independent bookstore (which in itself would be a marvel these days), but multiple bookstores! It’s just one of many things that makes me love this city, and make me feel so constantly lucky to get to live here. People have a lot of complaints about NYC (the expense, the subways, the crowds, this and that), but I feel like this is the one area in my life where I see the positives and am relatively blind to the negatives. I’m naturally more of a “glass half empty” person (not a good quality), but when it comes to NYC I’m like a person in love – I only seem to see the good parts, and not the faults. I consider myself lucky for that, and lucky to live in a place that I adore. I feel the same way about NYC! After living here for years, where could I possibly go?? I also love the Strand within Club Monaco. It's beautiful! I'll have to check out some of your other recommendations on my next visit to NYC! While I do buy plenty of books on Amazon or online, I agree there's something great about actually spending time browsing in a bookstore! I loved this post! 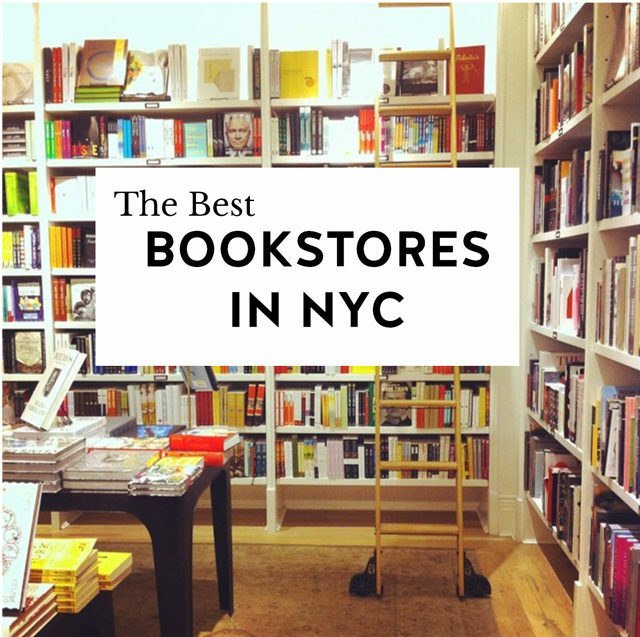 I do feel lucky that there are so many great bookstores here in NYC. The Strand is definitely one of my favorite places in the city (and probably in the world). I've never been to the Strand within Club Monaco, which is silly because I work right around there. From what I've seen, it looks like a really pretty spot. I must go soon! I love roaming local bookstores (or, you know, the book section at Target…) These all look fantastic! Haha, yup I would do that too if there were a Target nearby! Great roundup! If I could add one more to the list it would have to be bookbook on Bleeker. Good selection, great sales, and next to tons of wonderful restaurants. You've got to check it out! If you find yourself in Brooklyn, check out my favorite bookstore: Book Court on Court Street in Cobble Hill. Wonderful staff, incredible selection, great events, super charming location. And then if you’ve over there, walk down the street about 3 blocks to Community Book Store — it’s a super old school kind of book store but worth a visit. Amazing inventory — it almost looks like a hoarder situation, but it’s so fun to dig through the piles and the owner is quite a character, fun guy to chat with. And plenty of good eats in the neighborhood (Lobo is a favorite) — book shopping always makes me hungry! Just the kind of post I wanted to read!!! I’ve got a holiday to NYC coming up in a little over a month’s time, and all your New York recommendations are just the best! Especially this one. I am such a sucker for books that my husband is tired of me weighing down all our bags with the weight of books whenever we travel. And I have this thing of picking up a book from a bookstore in every city that I travel to. I can’t wait to explore all these bookstores (and also NYC) real soon!!!!! !